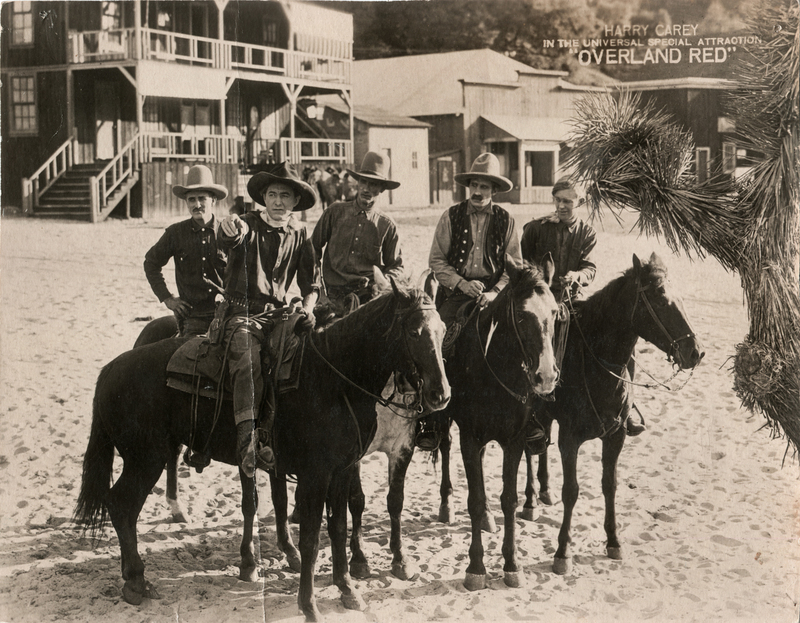 Old-style (generally pre-1920s) lobby card advertising Harry Carey (second from left, pointing) in a 1920 Universal feature, "Overland Red." Card measures 7"x9", but only because it has been cut down from the original 8"x10". It would have had a white border. Two pinholes show it hung in a teater lobby to advertise this coming attraction. The 6-reel, 60-minute feature was shot in the Mojave Desert, but we know not where. Notice the Joshua tree at right. At the time, Carey was living on his San Francisquito Canyon ranch, 5 miles north of downtown Saugus. Carey made a lot of pictures with John Ford during this period (until 1922) — but this wasn't one of them. The director was Lynn F. Reynolds (1891-1927), who made a number of pictures starring Tom Mix. The cast of "Overland Red" includes Charles Le Moyne, Harold Goodwin, David B. Gally, C.E. Anderson, Joe Harris, J. Morris Foster and Vola Vale. The latter is suspected of being a love interest of William S. Hart at one time. 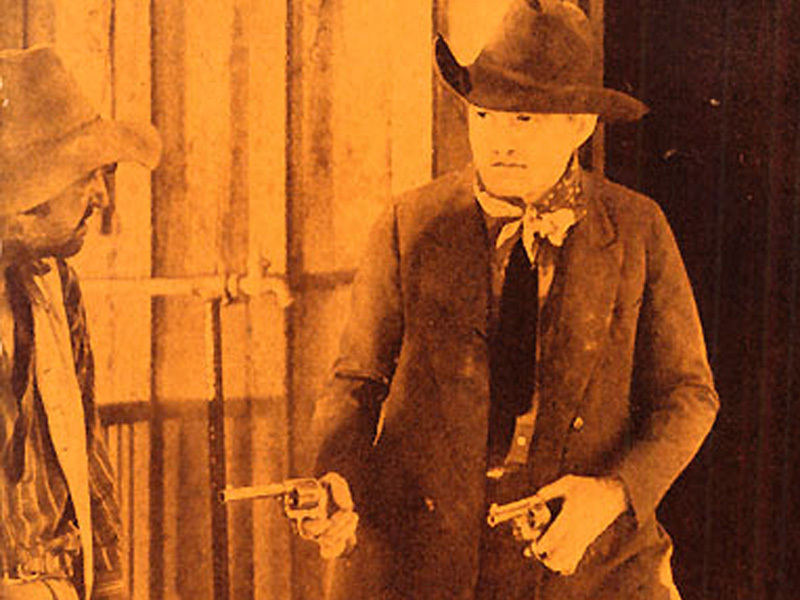 Hart and Vale starred together in 1917's "The Silent Man," 1918's "Wolves of the Rail" and 1921's "White Oak." Vale appeared opposite Carey again in 1922's "Good Men and True" and 1923's "Crashin' Thru." LW2412: 9600 dpi jpeg from original lobby card.